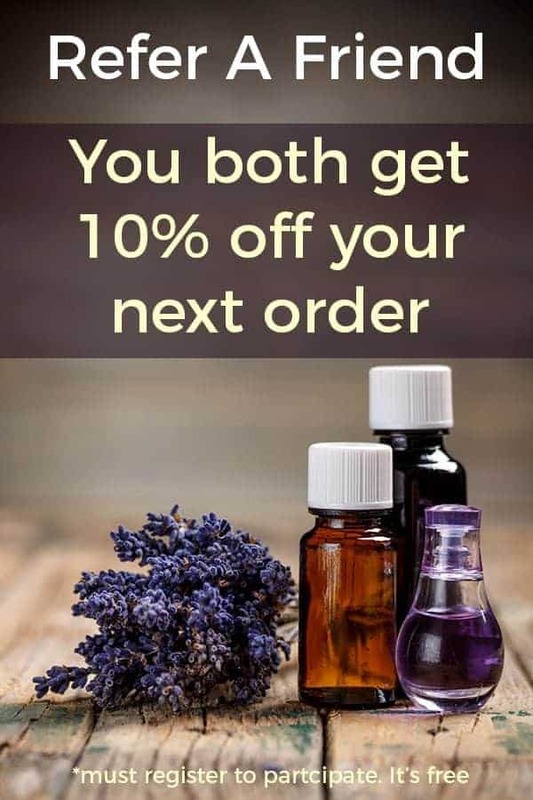 We appreciate your wanting to share our love of oils with your friends. That’s why we want to reward you for doing it! (And there are lots of ways : Email, FB, Twitter to name a few!) If you are not already a customer, you can create an account to participate. Get a 10% off coupon for each friend you recommend who then buys from us. They will get 10% off too!